What’s The Length of That Boat? In the past, a boat’s length was measured on a straight line from the tip of the bow to the center of the stern. If the boat has a bow pulpit, adding around 2 feet, or a swim platform extending the stern’s length, the vessel was still measured from bow to stern. Today, the boat’s length over all (LOA) is not as simple as it was in the past. Take the same boat today, add a molded bow pulpit or molded swim platform, and a 35 foot boat of the past becomes a 38 foot boat today. It has the same inside dimensions, but its LOA increased by the molded bow pulpit and swim platform. Additional confusion is how the manufacturer lists the model number. A model number of 350 usually refers to a 35 foot or 380 to a 38 foot. Many manufacturers will use the model number 350 but the LOA of the boat is 38 feet. If the bow pulpit or swim platform is molded with the boat, it is included with the LOA. If the bow pulpit or swim platform is bolted on, it is not included in the LOA. Not only do you pay more for the 38 foot boat, you pay more for registration and dockage. Many marinas and waterfront condominiums that offer dockage have size restrictions. Most go by the LOA shown on your vessel’s registration. 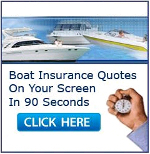 When buying a boat, if restricted by length, be cautious. State registrations are determined by LOA. If told the model you are looking at is 35 feet, ask to see the title or manufacturer’s description. One Response to What’s The Length of That Boat?